Why Not to Get Stronger? Why am I writing about such obvious thing? Recently I’ve met lots of people who were willing to become muscular or ripped (or both) but when I suggested them to get stronger first they looked at me like a madman. Some of them even stated that they were already strong enough (of course they could barely squat with 50 kg). They all asked me: “Why get stronger? I want big biceps/triceps/chest/shoulders/abs”. As ridiculous question as it could possibly be. We all met such people. And I feel the need to address this question. Read on. Why Get Stronger? Why Not. Well, firstly, yeah. Why not get stronger? Are you strong enough? Can you perform military press with 200lbs sandbag? Can you perform flawless planche/planche push-up? Can you squat or deadlift 500 lbs? Can you press 48 kg kettlebell overhead? How about one-arm handstand? I can go on and on. Remember, there’s always room for improvement. 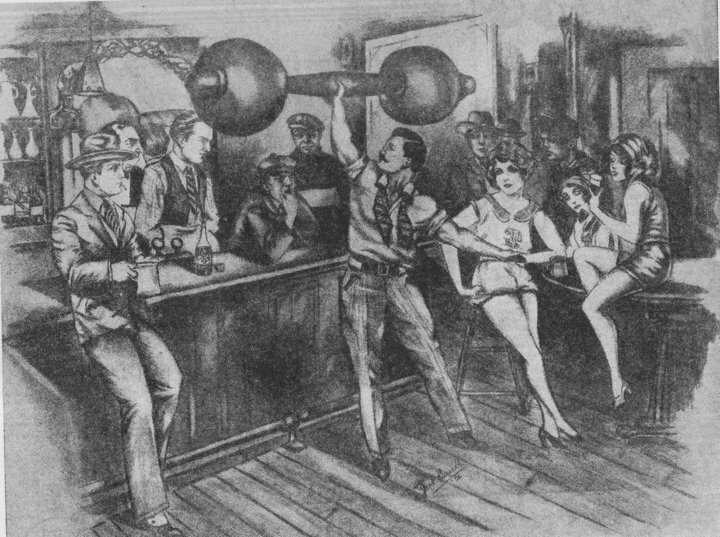 If you can do one of the feats of strength I’ve mentioned you probably know about the importance of strength. If no then shut up and get stronger before anything else! It’s frustrating that so many people are so ignorant and foolish to assume that they already strong enough. You can never be strong enough. NEVER. There always will be some feat that demands more strength than you currently have. And no matter what you’ve been told strength is main requirement for any awesome body. They are countless. How about just being strong as hell? How about improved health? How about mental strength that nothing can shatter and nerves of steel? Improved hormonal environment. Besides, women are attracted to stronger men. Because strong man can protect his woman. It’s in their DNA. So if you training for chicks it would be wise to get stronger. Anyway, it’s awesome to be strong. It gives you freedom and power to move through any obstacles. And all that is reward for being just damn strong. Great strength is not something that you were born with. Great strength is something you need to acquire through proper training. There’s nothing new about the importance of getting stronger. Don’t be stupid to assume that you are strong enough. Train, eat and rest properly and you will get the body you want so badly. Believe in yourself and you’ll become unstoppable! Thanks for reading. Feel free to comment and discuss. This entry was posted in Mindset, Routines and tagged benefits of strength, gain strength, importance of strength, routine for strength, strength training on 06/12/2011 by Alex Zinchenko. Pingback: Rough Strength Basics: How to Gain Strength | RoughStrength.com - Gain Strength, Build Muscle, Lose Fat, Get Awesome! Pingback: Training Plan Vs Instincts | RoughStrength.com - Gain Strength, Build Muscle, Lose Fat, Get Awesome!